Today we are showing you Deborah Lippmann's Mermaid's Dream, this is my very first DL polish and I am very happy and impressed with it :) Application was awesome and this very unique to me, there is so much depth to this polish, I love it! 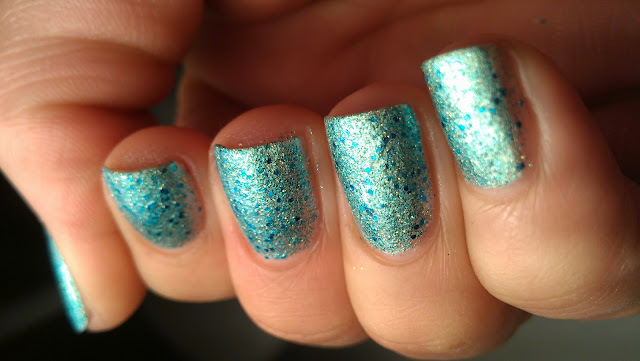 Don't forget to go check out my Twin's Post @ Nails Made Simple!!!! 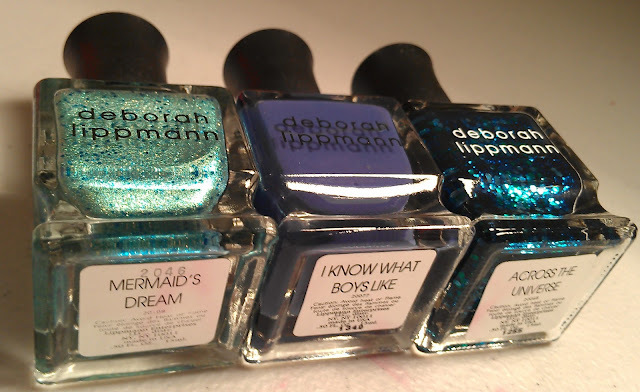 It looks really, really great on you, very nice swatches!! OMG! THIS IS GORGEOUS!!!!! NOW I WANT IT!!! 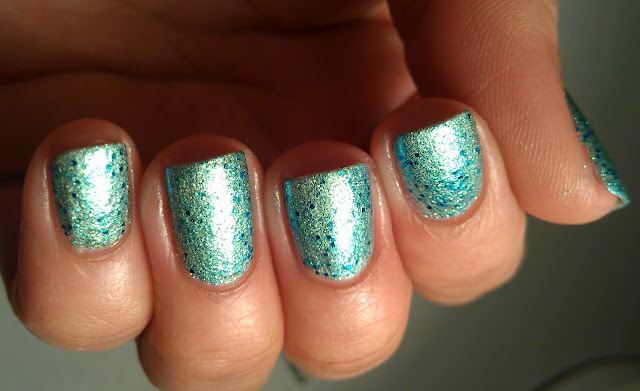 i just put this on toes last night. LOVE it! really?? You liked the formula? This is pretty! It sort of looks like it has a kind of scaly texture too. 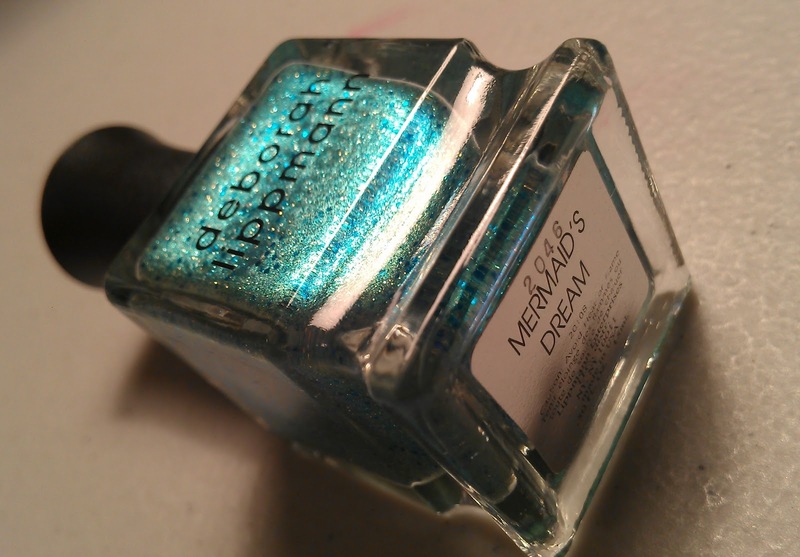 Mermaid's Dream is definitely the prettiest of the three, imo. YAY YAY YAY YAY YAY! so glad you got it! it looks GORGEOUS on you! I knew you'd love it! This is gorgeous!! The other DLs you have look so pretty too! Wow ,der Lack sieht wundervoll aus! BTW just tagged you on a blog award. Check my post for more info. 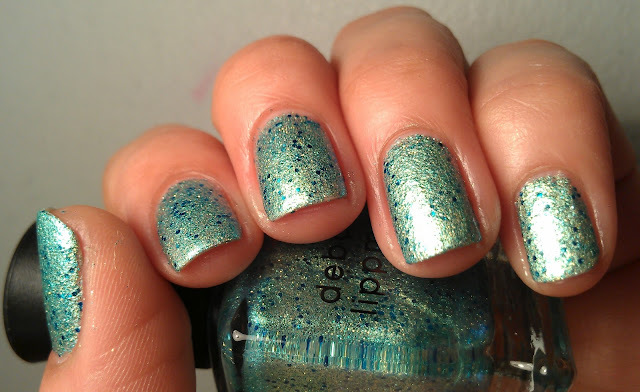 You and Maria are such a bad influence - I really want this shade now!!! Looks like it has some depth to it. 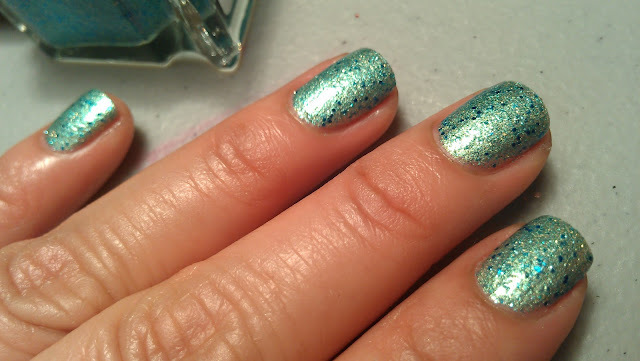 I thought it was "just a pretty glitter" at first, after your swatch, I'm like.. Hmmm, Maybe I want this. lol.